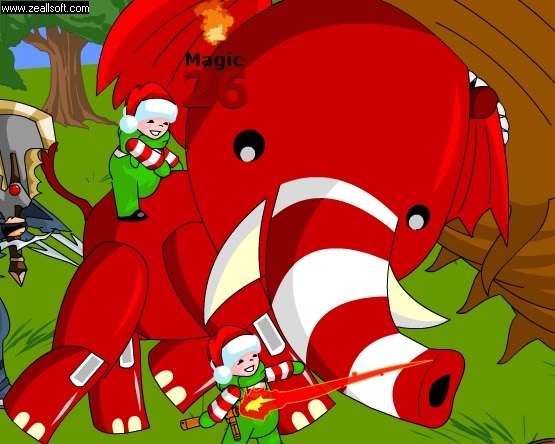 Frost Elves are a little-understood breed of Elves that are short of stature, and enjoy collecting Frostval gifts. These Frost Elves are armed with weapons and pets from Frostvals past, and ready to inflict heavy fire damage on your icy foes! Information courtesy of Kalanyr. Image from Bballman23.